Yet another reason to schedule your mammogram! We all know mammograms can detect early breast cancer, but did you know it could also predict early heart disease? Along with detecting a lump, mammograms can also detect calcium deposits in the blood vessels of the breast, an indicator of early heart disease. Calcium deposits detected on mammograms correlated to a significantly increased risk of stroke, according to research. What does this mean? Not only are mammograms an essential tool for diagnosing breast cancer but also they can be a useful in screening for heart disease and stroke as well. "It's beautiful that you can start to pick up the risk on the mammogram," said Arvind Ahuja, a neurosurgeon and co-director of the stroke center at Aurora St. Luke's Medical Center in Milwaukee, Wisconsin. "(The mammogram) can serve two purposes." Once the calcium deposits are discovered, doctors can screen for and address other risk factors, such as cholesterol, blood pressure, and blood sugar levels, and create a treatment plan to limit the risk of stroke and heart attack. Have regular mammograms. Surprisingly, only half the women who should have annual mammograms actually get them—even when their insurance pays for them. Having previous tests to compare can be essential in picking up small changes. Talk to your doctor to determine how often you should be screened. Ask your doctor specifically if your mammogram shows calcium deposits in the blood vessels of your breast, it may not be something he or she is in the habit of reporting. Schedule a cardiac and stroke screening if you do have deposits and discuss ways to decrease your risk. Women who have had open-heart surgery or other surgery in the chest area need to be especially consistent with mammograms because scar tissue can mask a lump. Even if you are not at the recommended age, discuss with your doctor the need to have a yearly mammogram to be safe. Scars and increased sensitivity may make a mammogram more challenging; discuss these issues with the mammogram technician before you begin. If you have an implanted device, such as a pace maker or internal defibrillator, make sure the technician understands the compression must be done slowly and cautiously so as not to dislodge the leads. If you are 40 or older and haven’t had mammogram in the last 24 months, call your doctor and schedule an appointment today. Commonly known as afib, atrial fibrillation is a misfiring of the electrical signals of the heart involving rapid or irregular heartbeats or quivering of the heart's upper chambers. Once considered benign, according to Mellanie True Hills of StopAfib.org, this cardiac arrhythmia can actually lead to congestive heart failure or stroke. One-third of atrial fibrillation patients will have a stroke, and afib is responsible for 105,000-140,000 strokes per year in the United States. Stroke, a top-three killer, claims at least one person every hour and is the number one cause of permanent disability. More than five million Americans now suffer from atrial fibrillation in which the heart goes out of control with little warning and for no apparent reason. It's a frightening occurrence that will impact millions more as atrial fibrillation overtakes aging baby boomers. The Mayo Clinic estimates that by 2050 at least 16 million Americans will have it. Listen to your heart for racing, palpitations, or an irregular heartbeat. Learn about afib causes and risk factors, which may include existing heart disease or obstructive sleep apnea. If you suspect atrial fibrillation, ask your doctor to check you out. If you have atrial fibrillation, learn how to treat and manage afib. Ask family and friends to learn more. If you are looking for more treatment, The Atrial Fibrillation Services Locator features more than 175 hospitals, arrhythmia and atrial fibrillation centers, electrophysiologists, cardiologists, and surgeons who specialize in treating atrial fibrillation patients. Download a free copy of Eliz’s Patient Perspective Magazine on Atrial Fibrillation. A study released recently by the American Academy of Neurology indicates the risk of stroke for women who have occasional migraines (less than one per month) increases by 45 percent and risk of heart attack increases by 64 percent. For those who suffer from weekly migraines, the risk of stroke triples due to “profound changes in the brain which diminish blood flow to the brain," said Dr. Richard Lipton, vice chairman of neurology at Montefiore Headache Center in New York City. "Someone with migraine should be sure to manage their other risk factors including high blood pressure, diabetes, smoking, high cholesterol, and body weight," Lipton said. Know the whole picture: When discussing your migraine symptoms and treatment options with your doctor, make sure to ask questions about your heart health as well. Women who have migraines should not smoke, as tobacco use vastly increases risk for heart attack and stroke. Oral or other hormonal contraceptives carry increased cardiovascular risk as well. Discuss the risks with your doctor. Medications prescribed to treat or prevent migraines may increase your risk of heart attack and stroke as well. If you have a strong family history, are overweight, have high blood pressure or other risk factors, share this information with your doctor and ask how this will affect your treatment. Know your triggers: Avoiding migraines is the best way to limit risk, however this can be difficult. Keep a “trigger journal” to help identify what brings on your migraine. List all your activities and what you eat and drink each day. When you have a migraine look back to see what may have triggered it. Over time, patterns will develop which should help you determine what type of lifestyle changes will be effective. Common triggers include artificial sweeteners, changes in sleep and eating patterns, hormonal changes, and chemicals found in processed meats. Know the symptoms: The key to surviving and recovering from a stroke or heart attack is quick action. Know when it is time to call 911. The Stroke Collaborative just released a new tool to help determine when someone needs emergency care called Give Me 5! Asking if someone can walk, talk, reach, see, and feel is a lifesaving strategy. For more information about stroke and heart emergencies check out this article on taking charge in the ER. Visit The Patient's Perspective page on the Embrace Your Heart Website to download the latest Patient's Perspective Magazine edition: Women Living With Atrial Fibrillation or listen to the recorded teleconference. The Atrial Fibrillation edition was produce in collaboration with the patient resource StopAfib.org and its founder Mellanie True Hills. Visit the Patient's Perspective Archive to read and listen to other editions. Are You Just a Hysterical Female? Go Buy A New Bra! ...and other things a woman should do before a surgical ablation. Stressed or stroke? Three questions to ease your mind about your headache. Please leave a comment below with any suggestions for future Patient's Perspective editions. Thanks! Do You Have Atrial Fibrillation? How Would You Know? Mellanie True Hills felt as if her heart was jumping out of her chest. Patty Borkowski didn’t have any symptoms at all. How would you know if you have the most common irregular heartbeat, atrial fibrillation? Atrial Fibrillation causes the upper chambers of the heart to quiver, which can cause the heart to overwork itself and eventually lead to congestive heart failure. In addition, the quivering allows blood to pool in the upper chambers and form clots. These clots, when launched into the body, can cause a stroke. atrial fibrillation increases the risk of stroke by five times. One-third of people with atrial fibrillation (afib) will have a stroke. Detecting and treating afib is essential to avoiding a stroke. Different patients have different symptoms. Some patients describe afib as feeling like their heart has skipped a beat, followed by a thud and a speeding up or racing of the heart. Others describe it as an erratic heartbeat or strong heart palpitations. For still others, it feels like fluttering or butterflies in the chest, or worms that are dancing or crawling. Others have chest and throat pressure that mimics a heart attack, or constriction around the left bicep. The first time, it's really scary, and you wonder, "Is this a heart attack?" It may leave you dizzy, faint, light-headed, anxious, breathless, weak, or just plain exhausted. After it stops, you may feel drained. For some people, afib doesn't stop, and may continue on for hours, days, weeks, months, or even years. For Mellanie True Hills, founder of StopAfib.org, her first afib incident started with a skipped heartbeat, followed by her heart racing. During her second episode, while she was out for a walk, within seconds her heart rate more than tripled on her heart rate monitor, reaching 300 beats per minute. She always became so dizzy, nauseous, and lightheaded during episodes that she feared passing out with each. Occasionally she is asked, "How can you tell when your heart skips a beat or starts racing?" Her answer usually is, "It's usually pretty obvious, especially when your heart literally feels as though it is going to leap out of your chest." Generally, afib is so overt that it's hard to miss, though for some afib patients, the symptoms can be subtle. Patty Borkowski’s afib was detected during a routine check-up. Like Patty, many people experience afib because of other underlying heart disease. Others have “Lone Afib” or atrial fibrillation without any other heart disease. While many people experience afib as adrenalin-related, typically during the day and related to exercise, caffeine or other such triggers, others (more often men) experience vagal afib. During vagal afib the heart slows down and can be brought on by sleeping or eating and happens more often at night. Those with vagal afib can sometimes “run-off” episodes of afib by exercising. Symptoms can vary widely from person to person. “With afib, we are all an ‘experiment of one.’ It is rare to find another afib patient who has the exact same combination of triggers and symptoms as you do,” says Mellanie. Regular check-ups with your doctor and acting on any abnormal heart palpitations, racing heart, dizziness or extreme fatigue are important. In any case, following up symptoms with tests, such as an EKG or wearing an event monitor, will determine if afib is an issue. Don’t ignore your symptoms. Get checked out and protect yourself from stroke! Embrace A New Lifestyle: Making positive changes to improve your health. A medical intern changed the course of Patty Borkowski’s life. During a routine check up she was examined by “an intern who was raring to go and practice being a doctor. He kept listening to my heart beat and didn’t look happy. I thought it was just the over-active intern trying to find something wrong with me.” But then Patty’s regular doctor came in for a listen. An EKG confirmed Patty had atrial fibrillation, the most common irregular heart beat and she was referred to an electrophysiologist, a cardiologist who specializes in heart rhythms. Patty’s afib was so constant, and her pulse rate would go so high (higher than the monitor could track) that her doctors were very concerned. “I still didn’t have any symptoms,” she said. But the toll on her heart was enough to make the doctors consider scheduling an ablation. However, after consulting with a doctor from the Cleveland Clinic, they determined her afib was related to her high blood pressure. Her doctor was quite sure if her blood pressure was under strict control, her afib would stop. High Blood Pressure is known as the “Silent Killer” because there are no symptoms. According to the American Heart Association, nearly one in three adults has high blood pressure, but many people don’t know they have it. Uncontrolled high blood pressure can lead to stroke, heart attack, heart failure or kidney failure. A simple, painless test is the only way to determine if your blood pressure is high. Most hospitals, clinics, churches, pharmacies and local health departments offer free blood pressure screenings. Yet, many people have out-of-control blood pressure, doing damage to their bodies, for years without knowing it. Don’t hide your head in the sand. Determine if your blood pressure is high and work with your doctor to get, and keep, it under control. Fear is common for heart disease survivors, but for women diagnosed with atrial fibrillation the fear can be overwhelming. “You are scared, your family is scared, and you just don’t know if something else is going to happen,” explains Mellanie True Hills, founder of the American Foundation for Women's Health and the atrial fibrillation patient resource StopAfib.org. For most people who are diagnosed with heart disease the fear subsides as the patients become stronger. “That’s very reassuring for women with heart disease,” shares Mellanie, who was diagnosed with atrial fibrillation after having a previous heart condition, “but for most afib patients that’s not the case as we never know when afib will strike. Will you be in line at the grocery store or out doing your normal everyday things, when it strikes?" Atrial fibrillation, the most common abnormal heart rhythm, causes the upper chambers quiver, which allows the blood to pool and create clots. The clots can then be launched out to the body and cause a stroke. One third of those diagnosed with atrial fibrillation will have a stroke. The fear of stoke forces many afib patients to stop activities they love, such as skiing, snowmobiling and flying, because they can’t risk having a stroke while doing them. However, even normal every-day activities, such as walking the dog, can lead to a dangerous situation. Atrial fibrillation is a difficult condition to manage since symptoms, triggers and the success of treatments vary so much between individuals. “We are ‘experiments of one’ because what works for one patient may not work for another,” says Mellanie. Atrial fibrillation is a difficult condition to manage since symptoms, triggers and the success of treatments vary so much between individuals. “We are ‘experiments of one’ because what works for one patient may not work for another,” says Mellanie. Working with your doctor to learn to manage your atrial fibrillation and your risk of stroke will ease the impact on you and your family. Work with your doctor to get your atrial fibrillation under control. The best way to prevent stroke is to prevent afib episodes. Be aware of your triggers and discuss your treatment options with your doctor. Seek the advice of an electrophysiologist, who specializes in rhythm disorders, if your treatment plan isn’t controlling afib. Be consistent in taking your medication. Use a pill case to keep track, and, if necessary, an alarm to stay on schedule. Maintain a consistent Coumadin level. Monitor your diet and medications to maintain the proper blood consistency to prevent clots from forming. Discuss with your doctor if home INR testing is an option. Understand the signs of stroke and have a plan to get immediate help. Carry a cell phone -- always and everywhere. Have family and health care providers on speed dial and as "In Case of Emergency" numbers (ICE1, ICE2, etc.). Talk to your family and friends about what to do in an emergency situation. Carry an emergency medical information card. Focus on what you can do and don’t dwell on what you can’t. Stroke is a medical emergency. If you have any of these symptoms, dial 911 immediately. Embrace Your Heart™ Champions stand up to the stigma of heart disease and use their stories of survival to make a difference. "Heart disease is forever; once you have it, you're at risk for more heart disease. “I knew that I was supposed to do something with my second chance. At the time, most women didn't know that heart disease was the #1 killer of women and that stroke was #3, so I decided to do something about that. I left my road warrior job to help women make changes to save their own lives. At the time, stress wasn't even considered a risk factor, but we now know that it is. Mellanie tells audiences, "Stress Hijacks Healthy Habits—if you get your stress under control, everything else will fall into place." If you have one or more of these symptoms, don’t ignore it, get help right away. *This program presumes that you don't smoke. If you do, stop immediately. Put your health first. If you don't, who will be there to take care of your family and friends? Don't you want to be there to see your kids get married and to enjoy your grandkids? Do one thing for yourself each and every day. A warm bath with champagne and chocolate, a massage, a quiet walk, a few minutes to read a good book, propping your feet up and taking it easy, or listening to relaxing music. What will it be today? Just make a few simple changes. If you need help, A Woman's Guide to Saving Her Own Life: The HEART Program for Health and Longevity is a personal journey through creating your own individual plan of simple changes that can save your life. The HEART Program is five simple steps. It saved my life, and has saved countless other lives, too. Listen to your heart. Listen to your body. Becoming intuitive about yourself and hearing what your body is telling you could protect you. After my heart incident, my doctor said that there was really nothing to suggest a need for concern, but she did an EKG anyway because she knows that I listen to my body. The EKG was abnormal, so she sent me to the emergency room, and that saved my life. She says that there was an angel looking over us that day. Put an angel on your shoulder by listening to your own body. Prioritize and focus on what is most important to you. If your health, and that of your family, are your top priorities, then what changes do you need to make? What do you need to reprioritize to make it happen? Just say NO (politely, of course). I volunteer a lot, and love doing so, but it's easy to get overwhelmed. I was asked to take on a volunteer role that I would have loved doing, but couldn't. I told them that I was honored to be asked, but that my volunteer plate was full and I have to protect my health, but perhaps I could take on that role in the future. As a fellow heart disease survivor, he understood. Disrupt your routine. I am still somewhat of a highly-driven Type A person, but I've slowed down and changed my surroundings. We moved to a farm, which is my peaceful sanctuary, and I'm doing what I truly love. But you don't have to make a big change like this—even small changes help. Give in to your nature and your body. I'm a night person, and I do my best thinking at night, so I allow myself to work late and sleep in when I want. I try to avoid early morning events, when possible. I love that most of my keynote speeches are at luncheons and dinners, and am willing to say no to doing early morning programs. Sleep is more important than most of us think. Did you know that getting five or fewer hours of sleep just two nights a week will triple your risk of heart attack? For me, it's not worth losing sleep and jeopardizing my life. There are lots of ways to adapt work and life to fit you. Do what you love, and love what you do. I can't think of anything better for me to be doing than helping others have a longer and better life. Our American Foundation for Women's Health helps women live healthier lives and helps those with atrial fibrillation in managing their condition through our atrial fibrillation Patient Resource, StopAfib.org. Thank you Mellanie for being a shining example for other women living with heart disease and a regular contributor to The Patient's Perspective. Understanding what triggers your atrial fibrillation episodes can help keep them under control. “We are in our infancy in learning what causes and what triggers afib,” explains Mellanie True Hills, founder of the American Foundation for Women's Health and the atrial fibrillation patient resource StopAfib.org. But paying attention to your body can help shed light on your personal triggers. For many people what you eat or drink can be a trigger. Coffee and other caffeinated drinks can bring on afib, while drinking water and staying hydrated can help prevent episodes. Alcohol and MSG can be triggers as well. Taking magnesium, potassium or calcium have also been shown to correct deficiencies and prevent afib in some people. Eating a large meal, especially late at night, can trigger vagal afib. Physical activity can bring on afib in some people, as can bending over, sleeping on the left side or doing anything that impacts the left side of the body, which is where the heart resides. 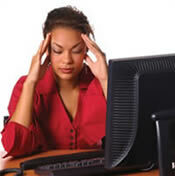 "We are also finding that stress can bring on atrial fibrillation. When you read in the medical publications about what brings on atrial fibrillation, rarely do you see even a mention of stress. And yet, in at least half to two-thirds of the patients we’ve interviewed, stress was what brought it on for them,” explains Mellanie. For some people, understanding their afib triggers can be essential to managing it. For others, the triggers are less clear. “For me it was really wild -- I might be leaning over washing the dog or leaning over checking e-mail; at other-times I could do the same things with no problem at all. I never really knew what would trigger it,” says Mellanie. In any case, it is important to use all of the treatment and prevention tools available to manage your afib to avoid stroke and heart failure. The first course of treatment for most people diagnosed with atrial fibrillation is management through medication. Patients are usually prescribed a combination of three types of drugs to control the heart rate and/or rhythm and to manage the risk of blood clots and stroke. Medication cannot cure afib, and must be taken consistently over your lifetime to prevent afib episodes. Be consistent in what you eat and drink. Check the label on supplements. Many multivitamins contain vitamin K. Herbal remedies with ginseng, gingko biloba, ginger, garlic, St. John's Wort and green tea will impact your INR. Check with your pharmacist before taking a supplement or over-the-counter medication. Be vigilant in keeping INR testing appointments. Inform your health care provider about any changes in your diet or medications, including herbal and over-the-counter. Pay attention to bruising and your menstrual cycle. Excessive bruising and overly intense menstrual flow may be signs your INR is too high. Heart Rate Control Medication: This medication slows down the heart rate by blocking some of the electrical signals. Beta Blockers slow the heart rate and relax the blood vessels. Calcium Channel Blockers relax blood vessels and reduce heart workload. Cardiac Glycosides improve cardiac output. Beta blockers are considered the most benign medications and thus are often a starting point for treating afib. But beta blockers still come with some side effects that women can find troubling, including extreme fatigue and dizziness. For those with intermittent or occasional afib episodes, your doctor could prescribe the “Pill-in-the-Pocket” approach. Rather than taking the medication every day, patients keep it on hand and take it when they have an episode. Also called "drug cardioversion,” treatment with rhythm control medication may be used if rate control medications are not managing your afib. Sodium Channel Blockers improve the heart's rhythm by slowing the heart's electrical conduction. Potassium Channel Blockers relax the heart muscle and slow the electrical signals that cause afib. These medications are not long term solutions to afib due to very serious side effects and the risks that make constant heart monitoring necessary. Amiodarone, a potassium channel blocker, is considered superior to other heart rhythm control medications in attaining and maintaining normal sinus rhythm, but may be the medication of last resort due to its lung toxicity and potential for long-term adverse effects. One patient who took amiodarone mentioned it can make you turn blue like a "Smurf." Now that's an undesirable attribute for a medication! Patients that were on rhythm control drugs said that those medications just left them feeling badly and persistently tired. For most, these medications worked at first, and in some cases controlled their afib for years, but eventually just stopped working. If the medication isn’t working and you are in persistent atrial fibrillation, your doctor could use electro cardioversion to convert your abnormal rhythm into a normal sinus rhythm. For electrical cardioversion, the doctor will use a defibrillator to give your heart a jolt of energy through paddles placed on the front and back of the chest. This electric shock should restore your normal heart rhythm, and may take several tries. This treatment is used more often as a stopgap measure—in emergencies when Afib just won’t stop—and often does not last. If medication is not managing your atrial fibrillation, talk to your doctor about other options such as surgical or catheter ablation.